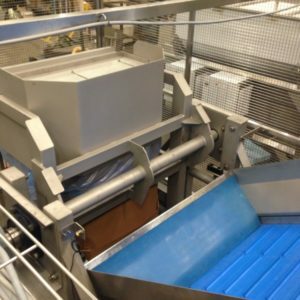 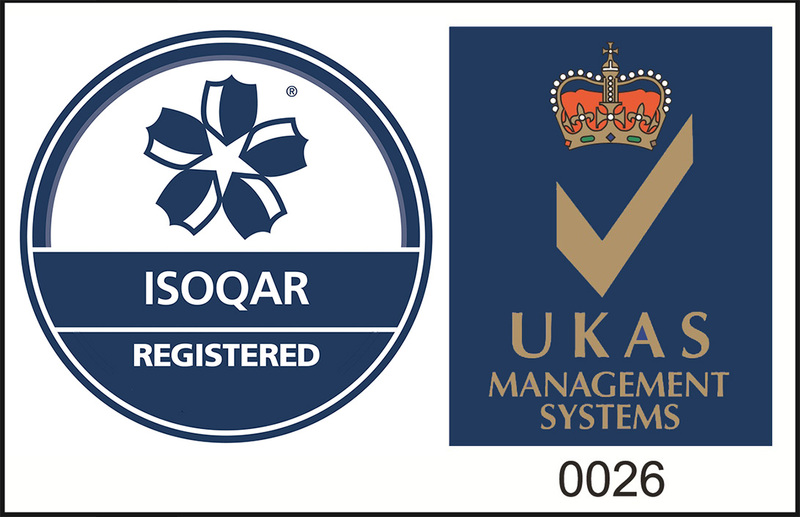 The FIBC Discharge is designed to handle Flexible Intermediate Bulk Bags (FIBC) safely and efficiently. 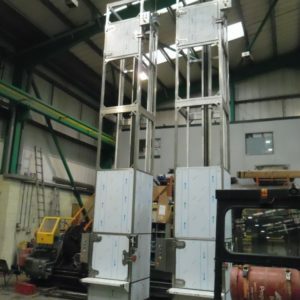 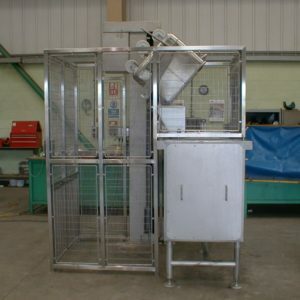 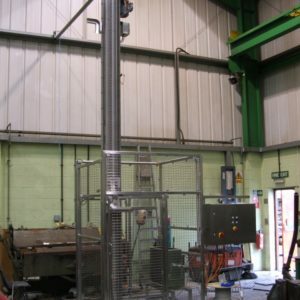 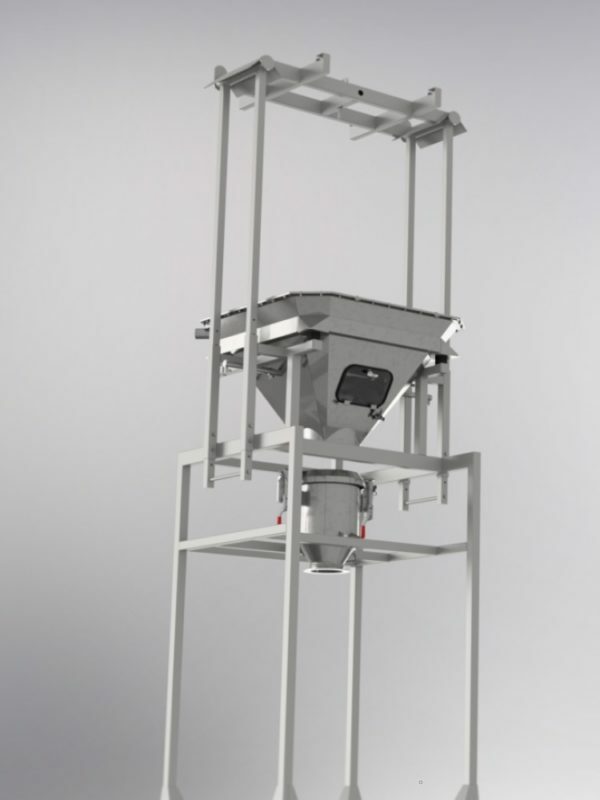 The FIBC is lifted via a lifting frame and placed securely on a support frame and hopper. When in position the bag liner can be safely undone to allow the bulk material to flow into the downstream process. 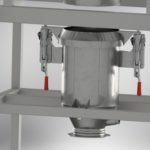 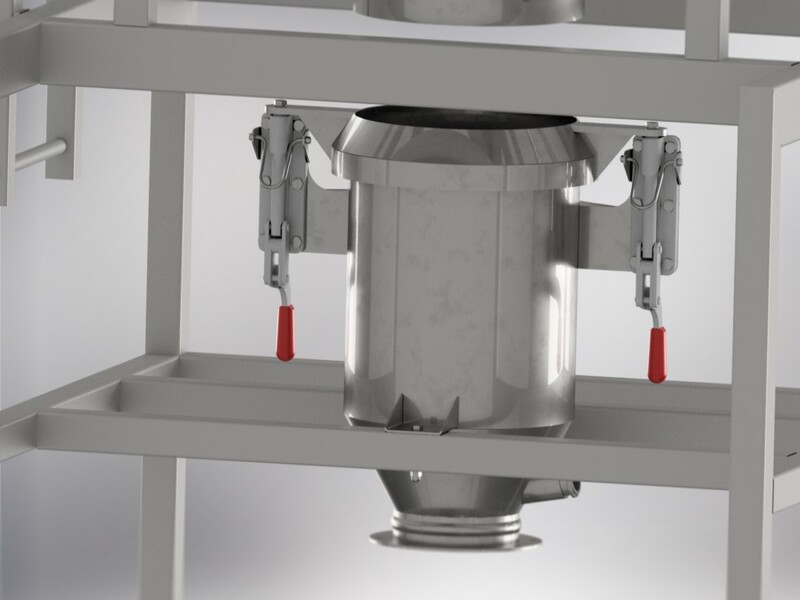 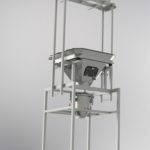 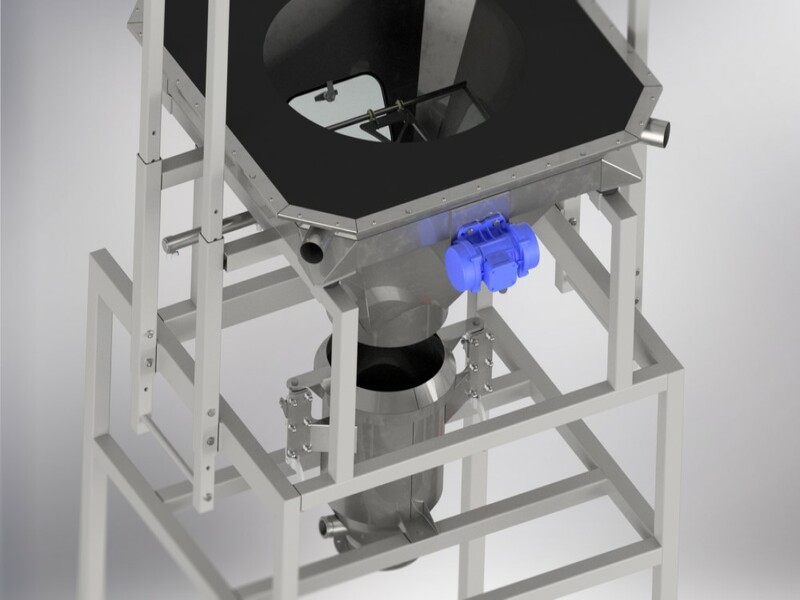 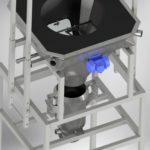 The FIBC discharger removes many of the hazards of handling bulk bags and ensures a contained transfer preventing dust emmissions from entering the atmosphere. 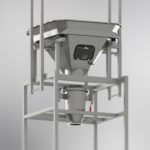 The operation of the FIBC Discharger can be configured to discharge automatically or manually at the press of a button.